"Where did he go?" 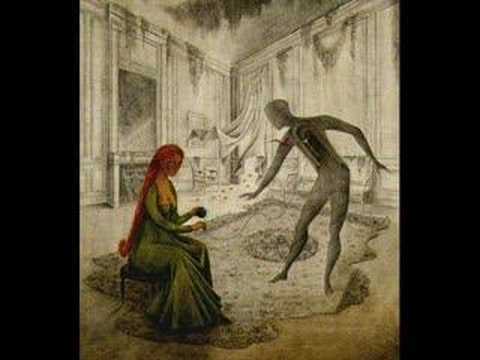 Lucie asked Olivier, who was staggering, dazed, in the wake of the danse macabre. "They must have taken him." He sank into the couch. "Good riddance." "No!" Lucie shouted. She ran to the door the parade had exited through. Where had they all gone? A parade such as that, gone in an instant? No, there they were, entering the study at the end of the hall, near that black void of a room. "Leave them be," Olivier called after her. "Perhaps they&apos;ll rip him limb from limb in that awful dance of theirs." But Lucie was determined. She had been so achingly close to having her revenge. She could cut Nicholas&apos; throat for all the foul things he had said and implied about her father. For all the lies he had told, she could cut the tongue out of his head. Running down the hallway seemed to take longer than it should. There were only a few rooms in this wing. Only a few doorways. The carpet clung to her bare feet, her legs moving as if through mud. Her dress felt heavy, and her hair flopped into her face. In frustration she raked her hands through her hair, scattering pins to the floor, then ran toward the doorway she had seen them all enter. Thump, thump, thump came the sound of their mad procession, a heartbeat, a funeral drum that matched her own as she entered that room. A single candelabra had been left on the desk where she had written the note to Nicholas. Enough light to see that the procession had gone, moved on to another room, double back like a snake. The thumping came through the walls. The candelabra also illuminated the body on the floor. The corpse appeared large, shadows made by the dark cloak he wore, and for the puddle of blood beneath him. He appeared to have been tossed here carelessly. And the smell – it was not like the smell in the lavatory. She could not quite place it. It was almost sweet, in a way, and made her stomach want for food. An entire parade gone by and no one noticed this? Or had they done it? "Is that Nicholas?" Olivier asked, breathlessly, from the doorway. Thank god he had the candle still in his hand, as the room was near dark. "I do not know," Lucie said. "I did not get close enough to his face." Olivier approached, and Lucie stayed behind him, her dagger at the ready. Did she believe the clearly-bleeding corpse would jump up and attack her? Still, she did not put it away. They were nearly to the body when Olivier recoiled back into her, making a sound of disgust. "What is it?" Lucie asked, peering around. He lifted a foot. "I stepped in his innards." Lucie gagged, now determining what that strange smell was. It was the scent of a butcher shop on a hot summer day, when the flies buzzed round and the meat turned foul. It was the smell of blood and the matter that lay inside beasts, the stuff that the butcher would toss into a bucket or tub, and later sell for making stews. Giving the body a wide berth, Olivier stepped around the outstretched arm, and the puddle and finally was close enough to pinch the fabric of the hood. He jerked the cloth aside to reveal the face of Nicholas&apos;s friend, Bastien Villeneuve. Lucie was both unsurprised and flummoxed. "I just saw him," she said. "Through that doorway. He was with the danse macabre. I just saw him leaving this room." "Then how is he here?" She shook her head. "Downstairs I... He shouted at me, and I imagined how I would kill him. I imagined stabbing him and gutting him." Olivier glanced at the body and its injuries, then looked back at her with wide eyes. "You had blood on your blade when I found you, after the incident with Bastien," Olivier said. "Don&apos;t you see?" Lucie said, her voice rising. "I imagined his death this way, and now it has come to pass, just like the two others!" Olivier nodded. "You did not have enough blood on your blade for this." He indicated the body. "And I saw him after that, when I was with you – he was the reason we came upstairs," Lucie said. "So there are two men wearing dark cloaks here." "Someone in that danse macabre group murdered him. They must have! How could they not have noticed what has happened here?" Olivier looked down at Bastien. "He deserved this, for threatening you." "But who is the killer who can see inside my head?" Lucie demanded, sinking her hands into her loose hair. A gentle touch at her wrist led her to drop her hands. Olivier held her loosely, and in the small warm light provided by the candle, Lucie found herself looking into his deep brown eyes with a sudden understanding. Olivier did not mind that she was a bloodthirsty girl, with a stained family name and no fortune. He let his fingers trail up her wrist to her elbow, then back down. The tickle of movement awoke every inch of her body, so that when he took up her hand, she had a sudden desire to press her body up against his. "Why do I find you so beautiful?" Olivier asked. "Why would you still find me beautiful when I am full of hate and rage inside?" she corrected. "Because I came here for vengeance, too," he said. 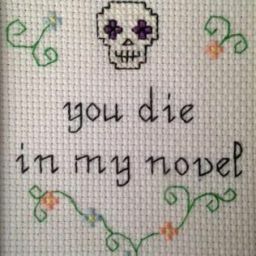 Author&apos;s Note: We are at the halfway point in the story! Shout outs to @UnderMySkin and @KimberleyWilliams4 for all their supportive comments, and thanks to everyone who is reading! 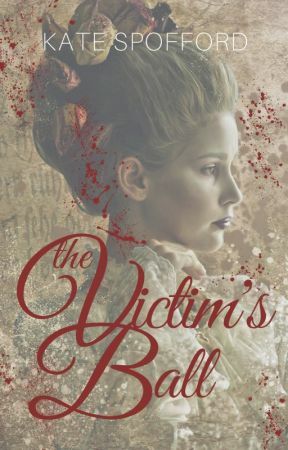 I&apos;m thinking of changing the title to "The Victim&apos;s Ball" - thoughts?